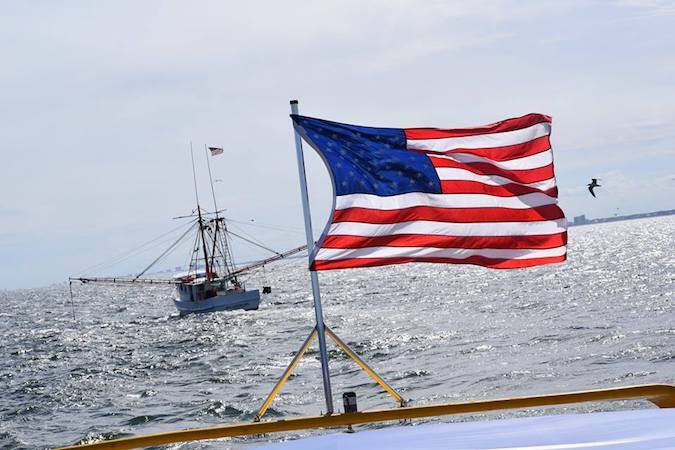 MYRTLE BEACH, South Carolina: Enjoy the lowest prices on the internet with exclusive Myrtle Beach Dolphin Cruise coupons from TripShock, your one-stop-shop for everything awesome to do and see in Myrtle Beach. 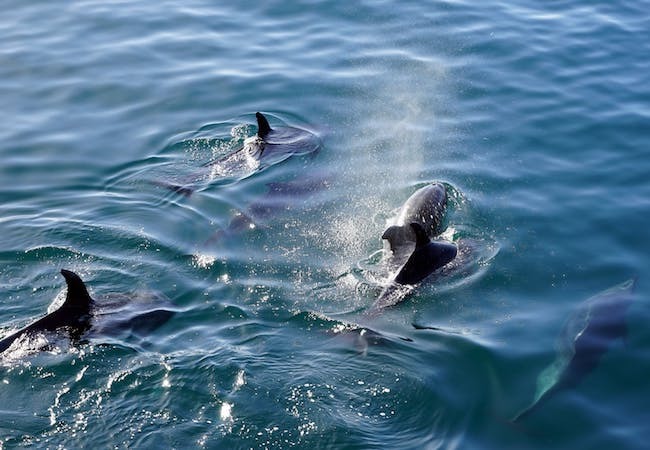 The next best thing to growing a dorsal fin and eating fresh seafood each and everyday yourself, a Dolphin Cruise will get you close to these majestic creatures as they dance and dash among the waves. A great idea for families with small children, this is your opportunity to sit back, relax, and let the captain do the rest! LOW PRICE GUARANTEE: Look no further. Redeem your Myrtle Beach Dolphin Tour coupons online today! 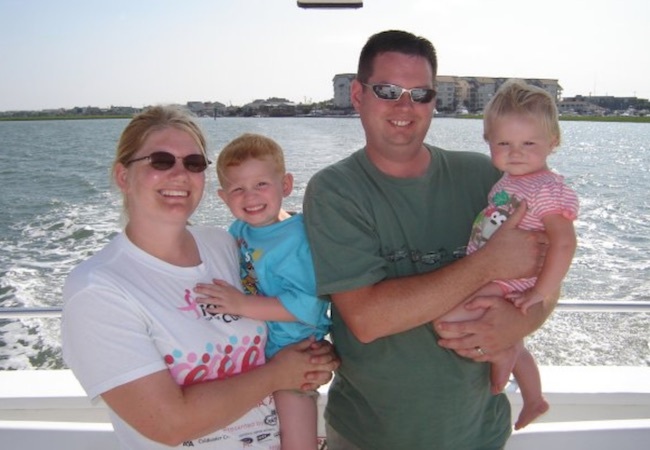 A dolphin cruise is one of the most popular family-friendly tours at the beach for a reason. First and foremost, dolphin tours are super affordable. Between transportation, food, and lodging, vacation costs can add up quick. At around $20 per person with a TripShock coupon, you can get your family out of the hotel room and offshore for a lot less than you think. A few other economical choices include going to the beach to lounge about and play frisbee (did someone say frisbee?) or enjoying the sights and sounds of Broadway at the Beach. Another reason you need to book a dolphin cruise is because of the actual boats themselves. Unlike your average jet ski, speed boat, or plain old pontoon, dolphin cruise boats are as luxurious and comfortable as they come. Enjoy stadium seating for you and your family as you float the waves in style. And speaking of floating the waves, these boats were born and bread for ocean adventures meaning no sea sickness—just knowledge, good folks, and good friends. In particular, both the Sea Screamer and Sea Thunder are two of the biggest and baddest boats around! On top of the deals and the boats, perhaps the best reason of all to utilize TripShock’s exclusive Myrtle Beach dolphin cruise coupons is for… get ready for it… THE DOLPHINS! As smart and sociable as they come, bottlenose dolphins (also known as Tursiops truncatus if you want to be fancy about it) are truly magical creatures. Their enthusiasm for the company of other dolphins (female dolphins typically travel together in groups or “pods” of 3 to 15) makes for spectacular scenery as they play with each other among the waves. Taking that even further, the dolphins of Myrtle Beach are actually quite used to dolphin cruises and will sometimes even seek out the boats to put on a show. Pretty darn cool! 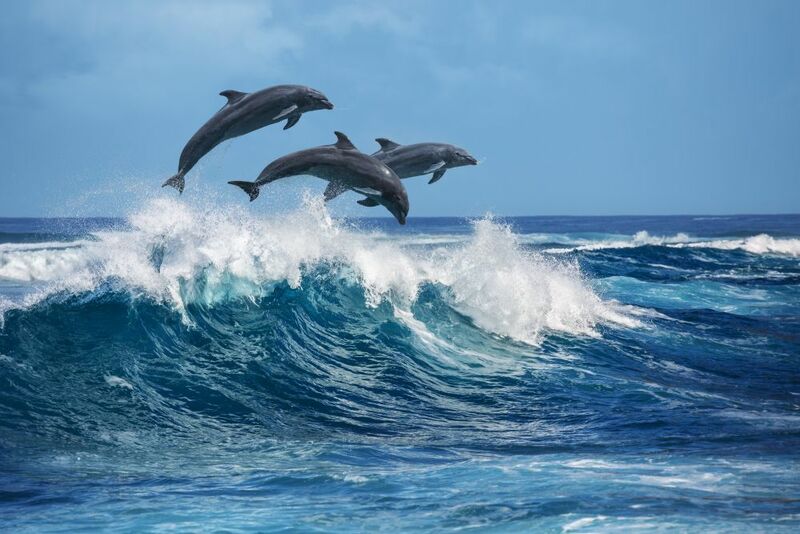 Watch pods of dolphins dance, dash, and jump among the waves! Scope other marine wildlife like turtles, pelicans, and more! Myrtle Beach plays host to plenty of cost-effective, family friendly options on both land and water. For example, both kids and adults alike can agree on an engaging and educational trip to WonderWorks, an interactive museum that features a variety of hand-on exhibits to facilitate learning. Another great option for families on a budget is the Hollywood Wax Museum. Finally, for those looking to enjoy the peace and quiet of nature, you might want to try heading just of the city to Huntington Beach State Park. A great mix of marsh, forest, and ocean, this park is a true gem and an ideal destination for a scenic hike or family picnic on the water. Up to this point you’ve heard plenty of reasons why a dolphin cruise is a great idea for traveling families. But what about the traveling dolphin families themselves? For this, we take a deeper look. First and foremost, dolphins are mammals—not fish. The dolphins that you will see off the coast and among the intracoastal waterways of South Carolina are bottlenose dolphins. Male bottlenose dolphins can weigh around 650 pounds and can live as long as 40+ years. Bottlenose dolphins can be found all over the world in temperate, subtropical, and tropical waters. Bottlenose dolphins are carnivores, and they feed mostly on small fish las well as crab, octopus, shrimp, and mollusks. In fact, they can eat as much as 20+ pounds of seafood in one day! As mentioned previously, dolphins are highly social and females travel in pods of up to 15. Male dolphins, meanwhile, are more solitary, but will join small groups or pods for brief periods of time to mate. Overall, though, the group atmosphere serves a variety of purposes, from hunting to protection and even companionship. Can’t get enough dolphins and Myrtle Beach? Head on over to our Myrtle Beach vacationer’s guide to learn all about this classic South Carolina beach town and all of the info you need to crush your next trip out of the park!